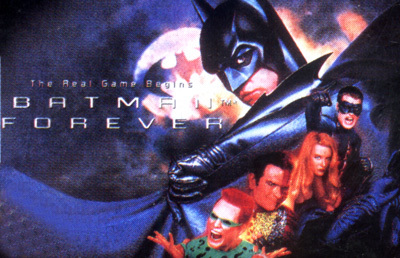 The player plays as either Batman or Robin. There is also a fighting game mode called "training mode" where the player can play as Batman, Robin, or any of the enemies found throughout the game against either a computer-controlled opponent, against a second player, or cooperatively against two computer opponents. The controls are largely based on move lists and key sequences. Some gadget moves involve moving away from the enemy right before pressing a punch or kick button, which creates problems since the game only keeps the players facing enemies if they're close enough to each other. Those moves would often just turn the player around and cause the move to not execute at all, and while most are close-range abilities anyway, this presents a more major problem with Robin's Heat Gun, which would appear to be intended as a long-range projectile attack to complement Batman's Electric Pellet. The gadget list is selected by the player each level, with three standard gadgets for each character and two gadgets selected from a list. There are also four hidden "blueprint" gadgets.